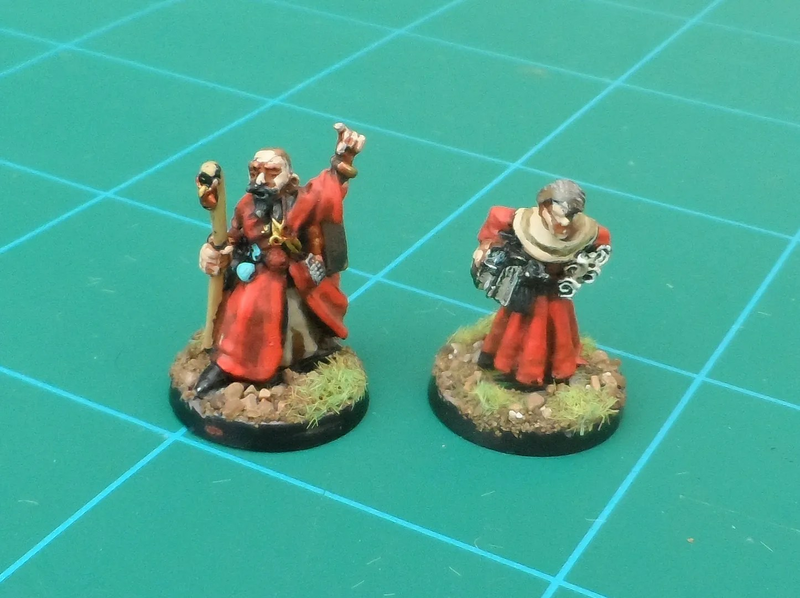 An Apothecary and a Crossbowman. .These were done within the week as hoped, and photographed a few days ago. Holbron Toddlebrew, and his Apprentice, Gideon. Lots of books and scrolls. Holbron is the Sigilist I’ve been playing since November 2015. It has taken this long for me to replace the two original figures with properly colour co-ordinated and based figures. Just in time for frioday’s scenario of “The Bone Wheel” from the Thaw of the Liche Lord supplement. The fifth figure, the Savage didn’t get painted. It’s sitting there rather unloved for an unknown reason. 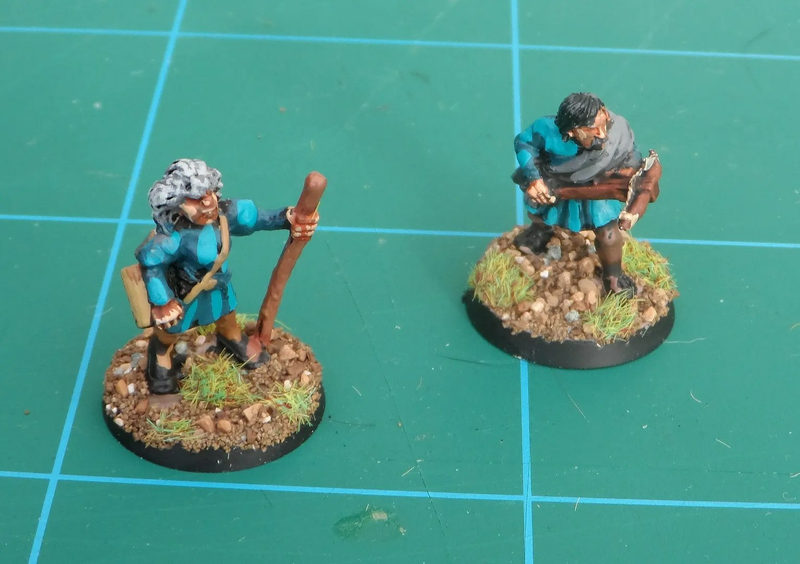 I suspect that it’s to do with the low light levels meaning I want to prioritise the figures i’m likely to use in the next month or so, which is rather sad as the Savage and many other Ghost Archipelago figures are really good ! So stand by Friday/Saturday for some updates in the form of an AAR. 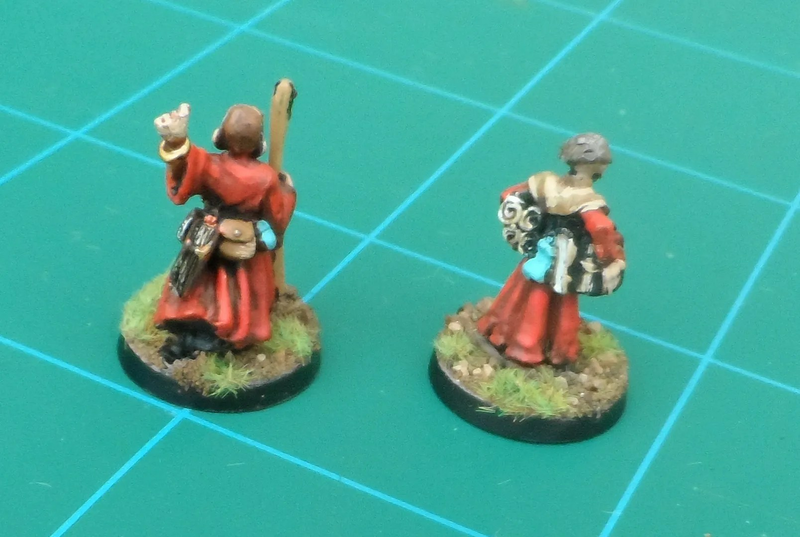 I also have a couple of familiars to finish off before Friday, and am halfway through some more Wizards and minions.